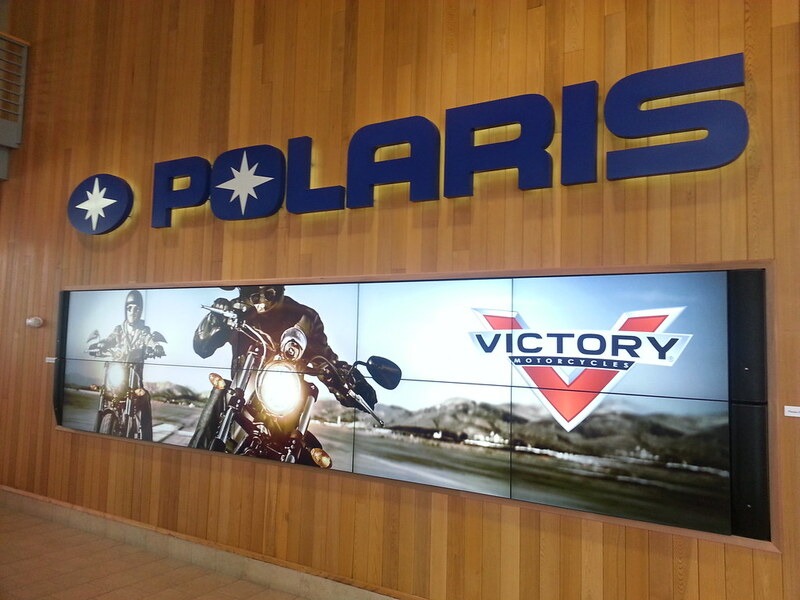 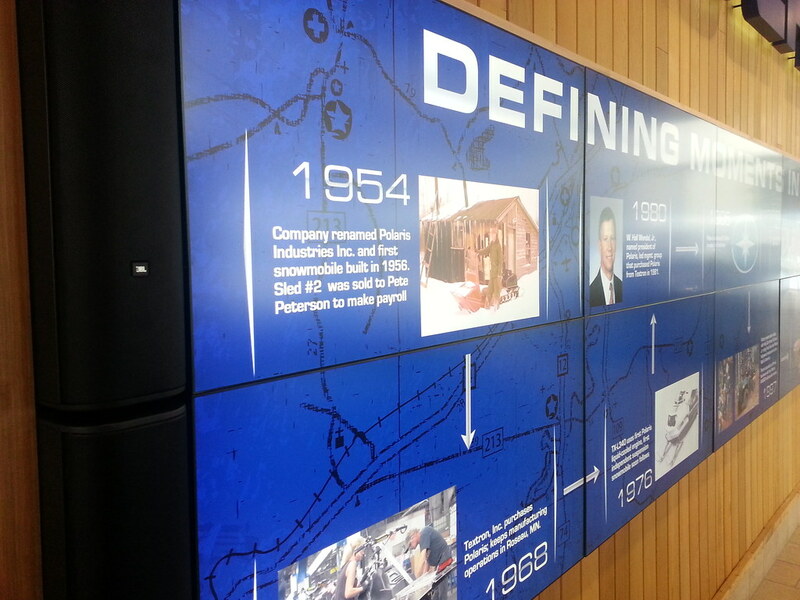 Polaris Industries Incorporated, an American manufacturer of snowmobiles, ATV and neighborhood electric vehicles, wanted to create a first class impression with its employees and clients by integrating a twenty foot wide digital video wall into the lobby of its corporate headquarters. 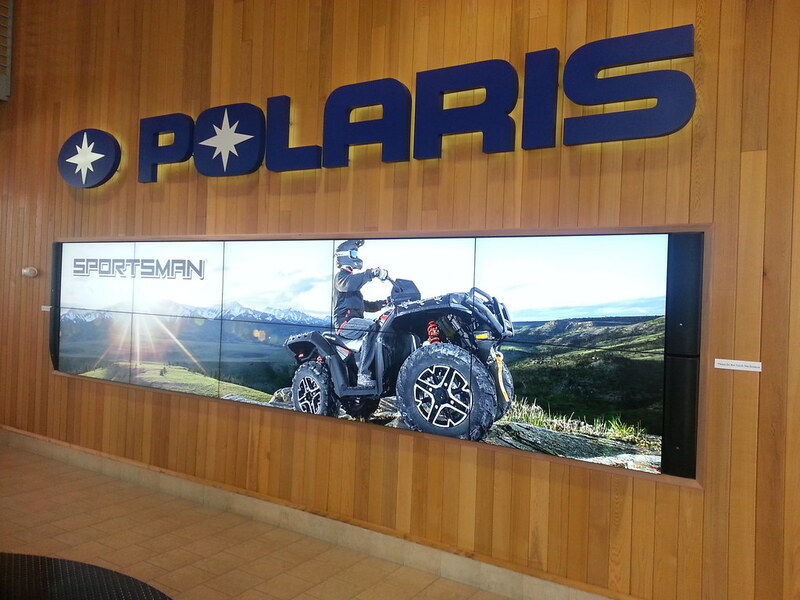 Tierney Brothers designed and installed a video wall consisting of ten ultra-narrow bezel flat panel displays driven by ten digital signage software players to ensure the highest resolution possible. 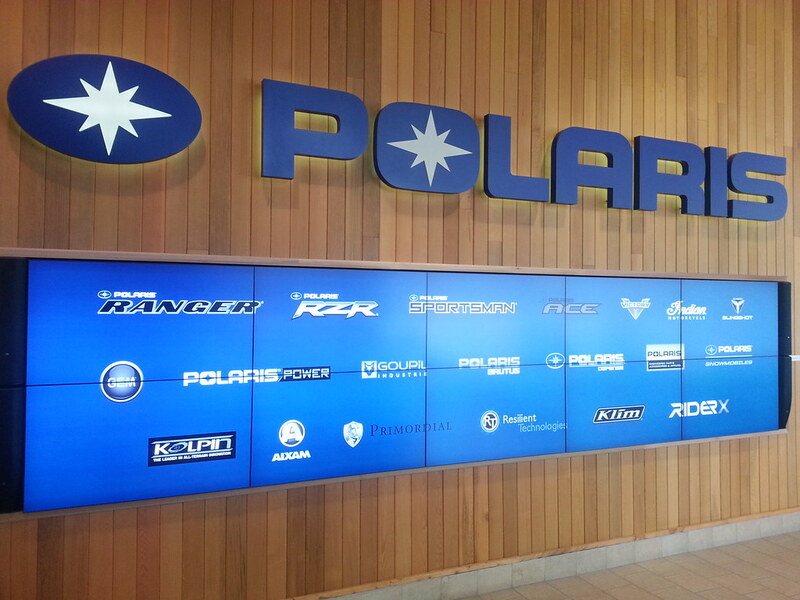 The result was an eye popping, crystal clear display and a video processing system which provides the flexibility to show images in any configuration and also allows for display additions in other Polaris offices as well as dealerships in the future.